that point forward. I'm only on day 9 but I'm in a way better place than with past Quit Efforts. Again... it does not change. Education is the key to a successful quit. Read Study Research. Make the commitment to yourself that you will not smoke no matter what is happening in your life. Have a plan, Prepare so you can Protect. Read a few of the blogs. Also read the information that I previously gave you. It is important A Recipe for a Forever Quit Plan Prepare Practice to Protect. The Law of Addiction. "Administration of a drug to an addict will cause re-establishment of chemical dependence upon the addictive substance. colegrundy you are not a failure. 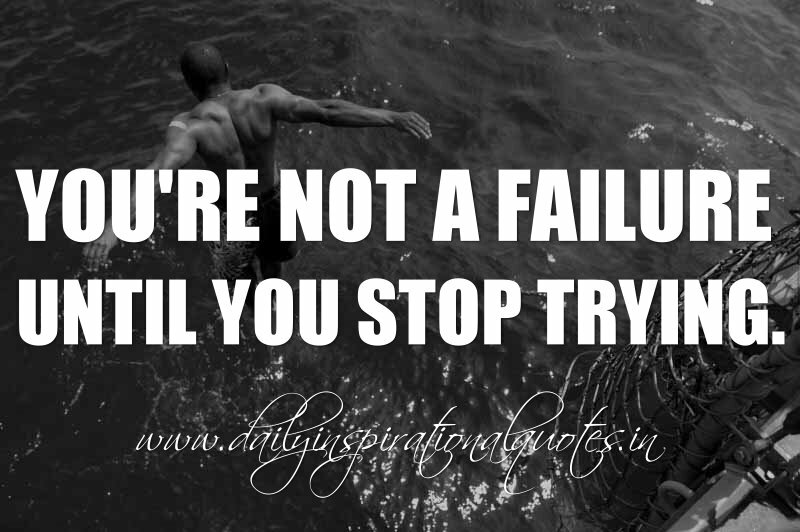 Perhaps your attempts at quitting have not been successful to date, but you are not a failure. I know there will be mixed responses to your post. Some will be softer and some more stern, but everyone is offering words of wisdom and ways to have a successful quit. If you were smoke free for 24 hours than you can do it for 48 hours. Take it one day at a time. Push yourself past your urges and cravings. It is hard, but you will gain greater confidence each time you do it. Eventually you will be able to go through your day without overwhelming urges that sidetrack you. Come here and write as often as you can. Stay very close to this site and read everything. Lots of help and support available here. Welcome to Ex! It's not easy - I will not lie to you but it is definitely doable - just look at The Elders List - lots of hard work went into this list compliments of Giulia and smorgy8513 but more importantly lots of work and preparation and dedication went into each of these people's quits. Read and educate yourself about this addiction - understanding it takes away some of the fears and helps you realize that what you are going through is normal. Make a plan. Decide what method is best for you. Cold turkey? NRT? Prescription meds? Lots of opposing views on this - but whatever you decide, make this quit your own. There are lots of successful quitters here who either went cold turkey, used NRT, or used Chantix or Wellbutrin. The decision is yours! Set a date and commit to it. I wanted mine to be on the first day of a month - easy to remember - ha - it is the most important date of my life - I will never forget it. Get rid of all smoking related items - you don't need them anymore. Make of list of things to do besides smoke--things that you enjoy and is not a trigger for you. I read novels - and I could read for hours without one thought of smoking. Another tough time for me was after a meal - I chose to brush my teeth after eating rather than smoke. Other good options - take a bubble bath or shower, walk, do puzzles, play internet games, etc. Whatever you enjoy. Stay close to this site - the support that I received here helped me tremendously. Don't be afraid to ask for help. Reach out to people here - because we have all "been there, done that". To be honest with you are not a failure you are addicted to nicotine is the reason you stopped to buy the cigarettes. You have to go through withdrawal of the drug in order to began your journey to freedom.